I just discovered this adorable blog, oh so very pretty. I think it's pretty new. They do feature some oh so very pretty crafts, foods and favorite things. 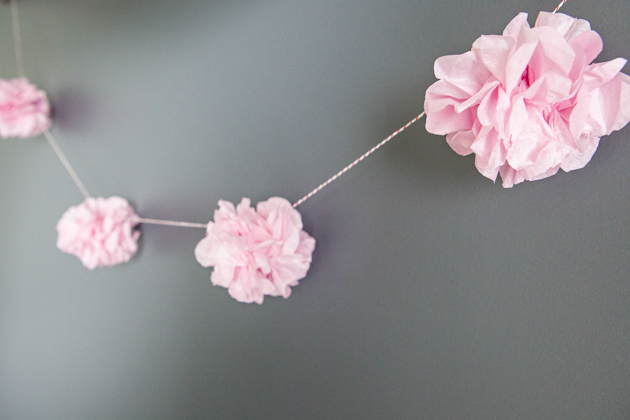 One of them being this cute tissue pom garland. If you've never attempted to make tissue poms, they're much easier than they look. Making them mini size like this makes them even cuter. Perfect for a ballet party! Find the full tutorial here.